Thank you for visiting my page! I am thrilled to have your support as I pursue excellence on and off the track. I am living my dreams as a professional runner everyday and I am excited to share my journey with you -- train for life! A California native and long-time resident, Chelsea ran for Davis Senior H.S. before competing for UC Berkeley. Though a standout runner, Chelsea's collegiate career was marred with injuries, working through six stress fractures or stress reactions during her first four years at the university, until she was able to enjoy a full healthy season in her fifth year. She brokeout following graduation to be a leader on the track and road, claiming National Championships in the 2012 Road 10k and 2013 Indoor 3k. Read here about my signing with Saucony! When not racing, Chelsea enjoys reading, writing, playing with Tyson (her pet Boxer) and cooking, highlighting a passion for nutrition, eating local and plant-based fare, which can typically be seen through her many food-based Instagram posts. She also uses her running as a platform to inspire and teach others how to find health. 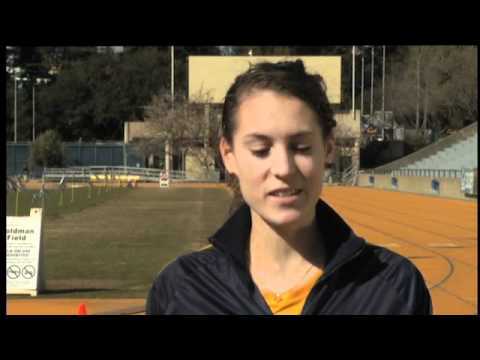 This is shown through her interaction with the Bay Area Track Club program, BATC Kids Sports Blast, where she worked with elementary school students to teach track and the importance of exercise, actvity, and health eating. Chelsea plans to donate most of the funds raised to a charity supporting youth exercise and healthy eating habits.